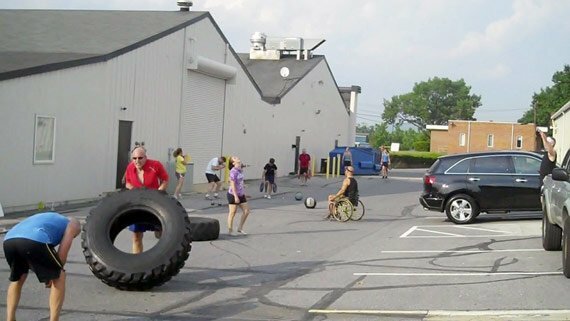 The Marine Corps uses rigorous training principles that can break the best of us. Chris Kaag helps his clients successfully bring that intensity to their own lives! When you start to train other people in the ways and means of fitness, you turn every wrench in your athletic toolbox. Sometimes your staple training methods, the ones that earned you your greatest gains, will not help other people. 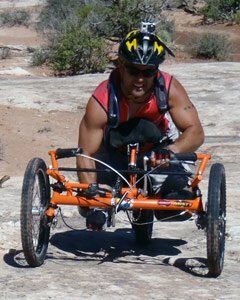 Chris Kaag changed his training principles to fit his clientele, and his own body, which was ravaged by a degenerative nerve condition. Giving up the golden ticket is a challenge for a trainer, so dropping Marine Corps training was hard for Chris. But the fit life goes on. He changed the way he trains and how he helps others. What emerged was a unique blend of practices that helped him evolve into a modern trainer. See what Chris did to become Personal Trainer of the Month! Could you tell us a little about your personal and professional background? I joined the Marine Corps out of high school, which changed my perceptions of what is possible. 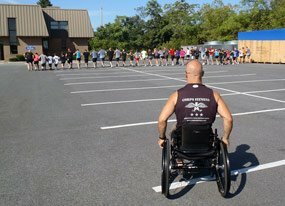 I started Corps Fitness with the philosophy of exposing people to the motivation and self-realization I experienced in boot camp. I was pushed beyond what I thought was my limit and that redefined what I knew I could accomplish. 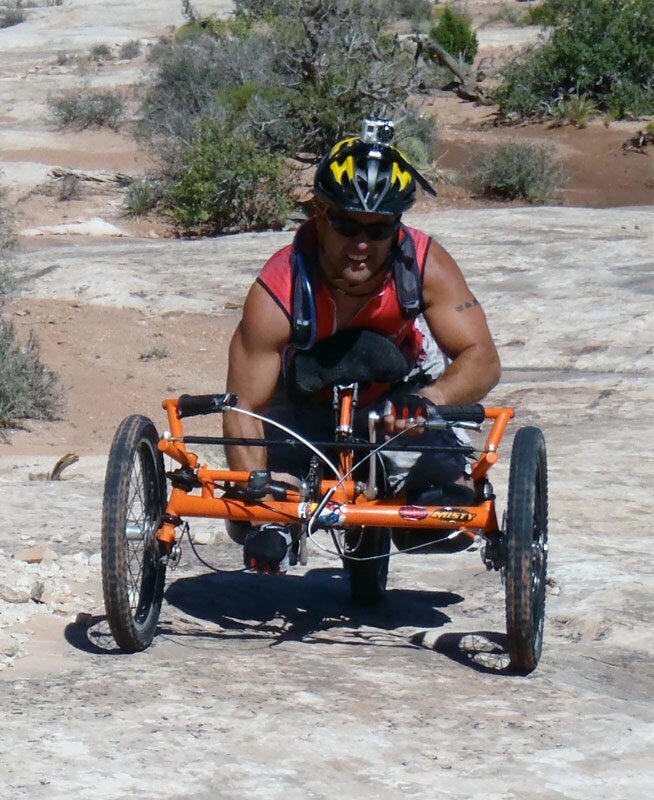 In 1998 I was diagnosed with a degenerative nerve condition and, as a result of my Marine Corps experience, I only became more determined to make the best of my situation. 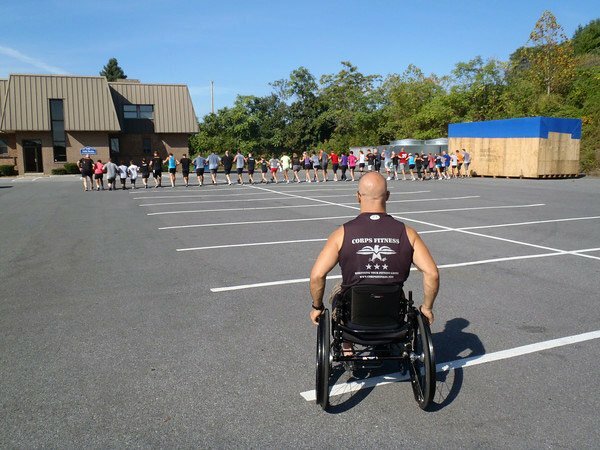 My goal with Corps Fitness and the IM ABLE Foundation is to change perceptions and in the process hopefully inspire others to look inside themselves to push forward despite their challenges. Get up and get moving! Class structure is based upon simple yet effective fundamental movement patterns executed at high intensity. These workouts deliver time-tested measurable health and fitness improvements. This technology delivers the most effective broad-based fitness results in the most efficient manner possible. Not only have clients experienced dramatic changes in their fitness levels and body composition, but they now have the confidence to take on fitness challenges like triathlons, marathons and adventure races. The mental gains are just as important as the physical. Even the small accomplishments will motivate them to push to the next level! Everyone who focuses on those around them—not on themselves, but on the task at hand. Give us an example diet and training program you put together for your clients. We've done Paleo and no-sugar challenges that have altered the way people look at their nutrition, translating into a different lifestyle. Not motivating and concentrating too much on what weights people are able to push. Military style. Accountability and a team environment. You have to be able to read people and what they are going through that day. Knowing whether they need a push is key. I prefer both equally, the same, as well as kids. "Defining moments" are experiences that have an impact on our souls, and create that moment by which we are defined. How we choose to handle the challenges in our lives reveals more about our personality and character than any other test. Only when someone goes beyond his perceived capabilities, and is forced to dig deep into his soul to find strength, does he have a greater understanding of who he is. At that instant, knowing you are able to exist on a higher level is one of life's most important discoveries. Without this, our true capabilities would never be realized and our lives would be confined to the boundaries and limits we place on ourselves.